As the second day of the Paris Air Show 2017 comes to a close, it has produced new orders across the board from all of the major aircraft manufacturers. Boeing again has come out strong against main rival Airbus, and Embraer, ATR, and Bombardier all secured more orders on Tuesday. Boeing sold a total of 292 aircraft on Tuesday, including three big orders for the Boeing 737 MAX program. Avolon made the big plunge in the morning, securing an order for 75 737 MAX 8 aircraft, valued at $8.4 billion, giving the carrier those aircraft plus an additional 50 under a Memorandum of Understanding (MoU). Leasing company CALC also contributed to the high growth of the 737MAX program by ordering 50 737MAX’s, with 15 of them being the new 737MAX10 aircraft that was announced by Boeing yesterday. Leasing company CALC also contributed to the high growth of the 737 MAX program by ordering 50 737 MAXs, with 15 of them being the new 737 MAX 10 aircraft that was announced by Boeing on the airshow’s first day. The big news came towards the afternoon when United Airlines signed a deal for four additional Boeing 777-300ER aircraft as well as 100 737 MAX 10 aircraft, making them the biggest customer of the 737 MAX 10 to date. 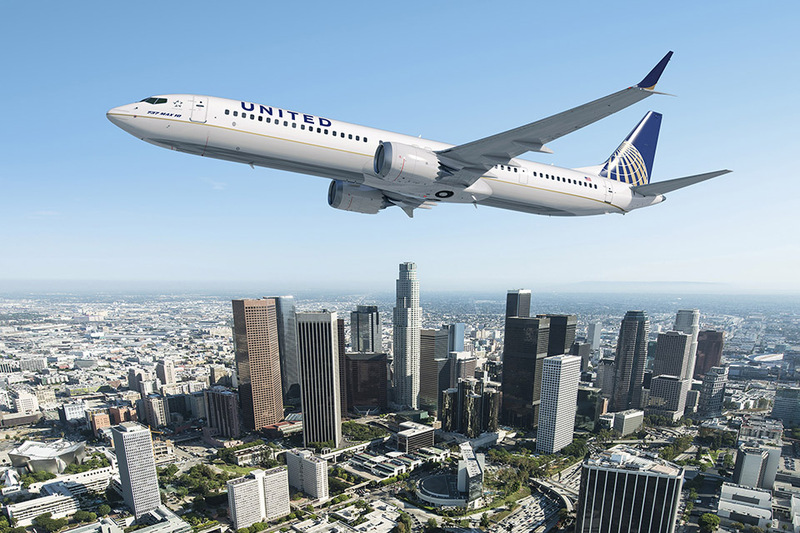 United is due to start receiving the 737MAX10 aircraft in 2020. The additional 777-300(ER) aircraft that were ordered will be joining United’s fleet of 18 777-300(ER) jets that the airline ordered in 2015. United is due to start receiving the 737 MAX 10 aircraft in 2020. The additional 777-300ER aircraft will be joining United’s fleet of 14 777-300ER jets that the airline ordered in 2015. Other orders of interest include 20 Boeing 737 MAX 10 aircraft for ACG, 15 737MAX and five 787 Dreamliner aircraft for Okay Airways, six 737 MAXs for Blue Air, 10 737 MAXs for Ryanair, 10 737 MAX 8 aircraft for the Japanese Investment Adviser as well as two Boeing 777 Freighters for Ethiopian Airlines. On top of these new orders, Boeing announced that they would be raising their forecast for overall aircraft demand. It consists of a 3 percent rise compared to 2016 with demand for 41,000 plus new airplanes, valued at $6.1 trillion. 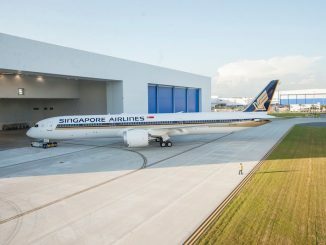 The manufacturer expects Asia to be the biggest market with Boeing aiming to deliver over 16,000 aircraft into the region by 2036. All-in-all, a very successful day for Boeing again, continuing on the strong start that the company saw yesterday. Airbus also had a good day, selling 115 aircraft. Not as strong as Boeing, but an improvement on yesterday. 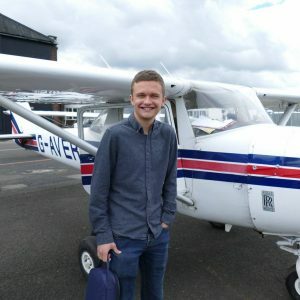 Airbus started the day by announcing their new open data platform called Skywise, which will be used to improve aircraft design and support offerings. Then the order announcements came. CDB Aviation Leasing Company first signed a deal with Airbus for 30 A320neos and 15 A321neos, bringing the total count to 45 of the A320neo family. After that, Viva Air placed an order for 50 aircraft from the A320neo family, featuring 35 A320neos and 15 A320ceos. This is part of the carrier’s fleet renewal that they are implementing across their domestic network. 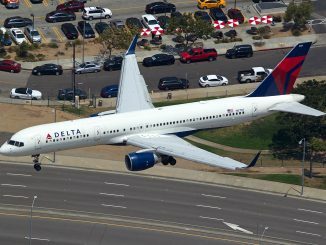 Following an order for 30 Airbus A321ceos in Atlanta last month, Delta Air Lines placed an order for an additional 10 today at PAS17 bringing the total order count of the A321ceos for Delta to 122. To close the day, Ethiopian Airlines placed an order for another 10 Airbus A350-900XWB aircraft, bringing their total fleet count to 22 by the time they have all been delivered. Embraer had a better day in terms of orders, selling a total of 52 aircraft. The first order came from Belavia Airlines, who ordered two aircraft, one E175 and one E195 at a total price tag of $99.1 million. After that followed a $274 million deal with Fuji Airlines with a firm order for three E175s with an additional three as an option for the carrier. This deal adds to the eight E170s and three E175s that the carrier currently operates. KLM Cityhopper then made a deal for two additional E190 aircraft at list prices of $101 million. These two aircraft will bring the total Embraer fleet count in the carrier to 49 when the move to an all-Embraer fleet is completed. Japan Airlines then added an extra E190 to their previous order of over 20 aircraft at list prices of $50.6 million. To finish their day, Embraer also announced two orders from two undisclosed customers. The first one featured a firm order for 10 E195-E2 aircraft, with the option for an additional 10, listed at $666 million in list prices. 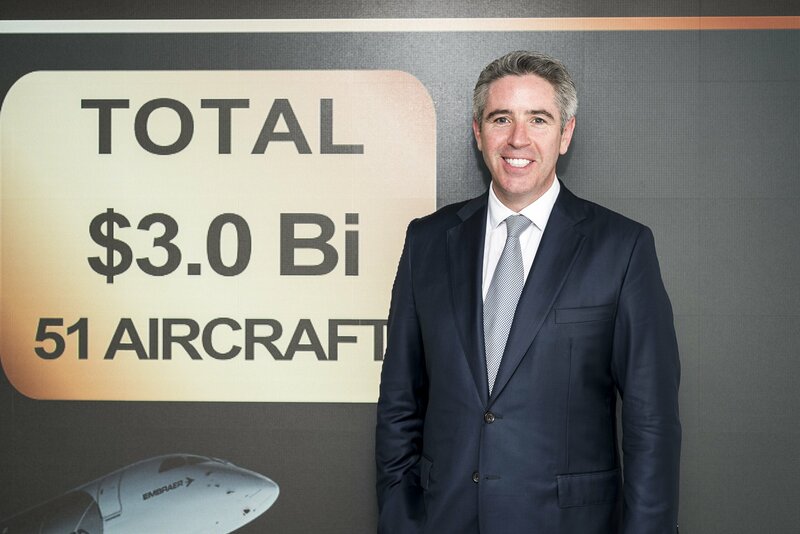 The second was a firm order of 20 E195-E2 aircraft, valued at $1.182 billion. Overall, it was a very successful day for Embraer, acquiring over $2.3 billion in sales in one day. 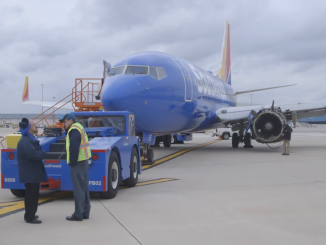 This will enhance the E195-E2 program further, especially as things looked worrying during the program’s early stages. ATR only recorded one order for the entire day at the Paris Air Show. Start-up carrier Air Senegal SA announced a firm order for two ATR72-600 aircraft, at list prices of 50 million EUR. The deliveries of these aircraft will commence in November 2017, just in time for the inauguration of the new Blaise Diagne International Airport in Diass, located about 50 kilometers from Dakar. Overall, it has been a relatively quiet day for ATR compared to the company’s Monday performance. Bombardier recorded two new orders of interest today. The first one was a Letter of Intent (LOI) for 50 Dash 8 Q400 aircraft for SpiceJet, which is valued at around $1.7 billion. The LOI features a firm order for 25 of the aircraft type, with additional purchase rights for 25 more. “I am delighted that we will be acquiring 50 Q400 planes. SpiceJet operates India’s largest regional fleet and is the only organised operator in this space. The acquisition will help us further increase connectivity to smaller towns and cities and help realise Prime Minister Narendra Modi’s vision of ensuring that every Indian can fly. 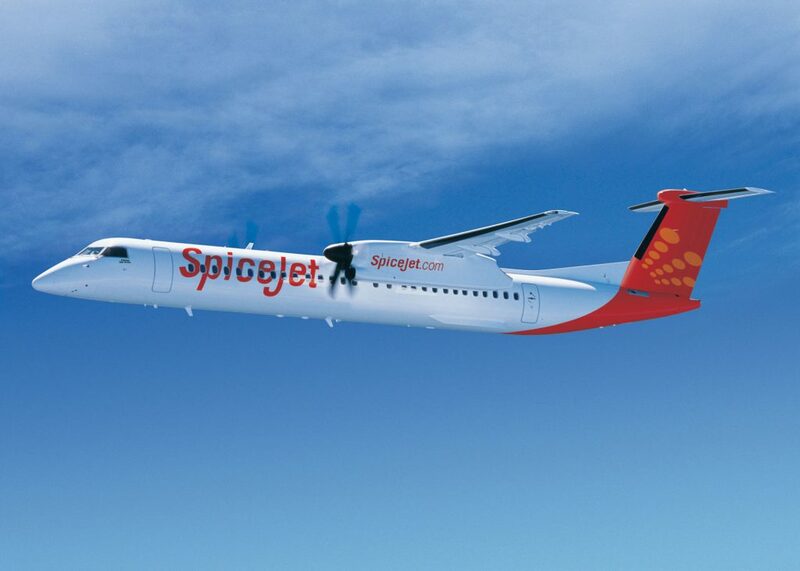 Our passengers will be able to fly to more cities and help expand India’s already booming aviation market,” said Ajay Singh, Chairman and Managing Director, SpiceJet. An order for five of the Dash 8 Q400 valued at $162 million came later in the day from Ethiopian Airlines. This order was confirmed at the air show and was originally undisclosed. Overall, Bombardier has done just as well as Embraer today, gathering sales of around $1.9 billion at list values. It has been announced by ADS Group, a UK trade organization that represents the aerospace, defense, security, and space sectors, that today’s orders have given the UK an £8 billion boost to the economy. The second day saw commitments being worth £4.3 billion to the UK industry on the second day alone. They said that the biggest component of orders came from the Boeing 737 MAX family. For three major aircraft manufacturers like Boeing, Airbus and Bombardier to have operations in the UK highlights the economic growth for the aerospace industry. 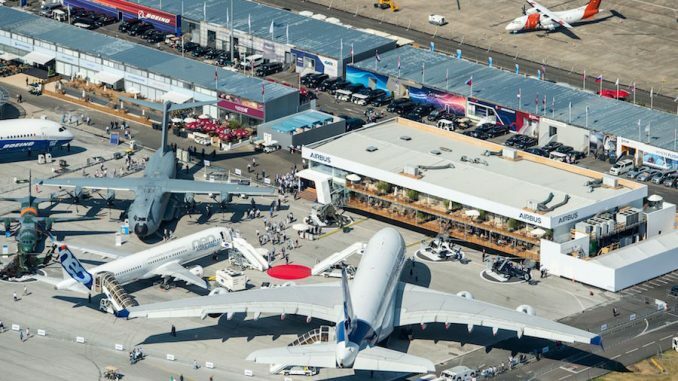 With Airbus’ Chester plant producing the wings for the A350 and A380 programs, to Boeing wanting to open a plant in Sheffield and Bombardier hosting factories in Belfast and Ilford, UK, it is no wonder that the Paris Air Show has benefitted the UK economy. For an economy like that of the UK, it is the largest aerospace sector in Europe, with an annual turnover of £31.8 billion. UK companies are set to benefit directly from more than 200 orders made at the Paris Air Show. 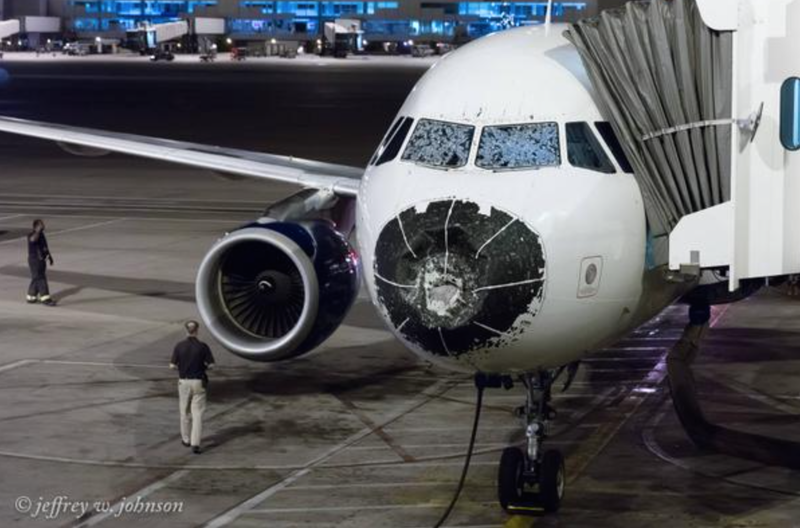 All-in-all, it has been a very expensive day for the airline industry, selling over $40 billion worth of aircraft altogether in less than 24 hours. In terms of the big two, Boeing seems to be stealing the stage selling 545 units compared to Airbus just selling around 227 aircraft over the course of two days. Airbus will need to pick the pace up with the orders in order to catch up with Boeing. Editor’s Note: AirlineGeeks will be attending the Paris Air Show later this week. Make sure to follow our Twitter, Instagram, Facebook and website for updates. Check out Day 1’s news here.